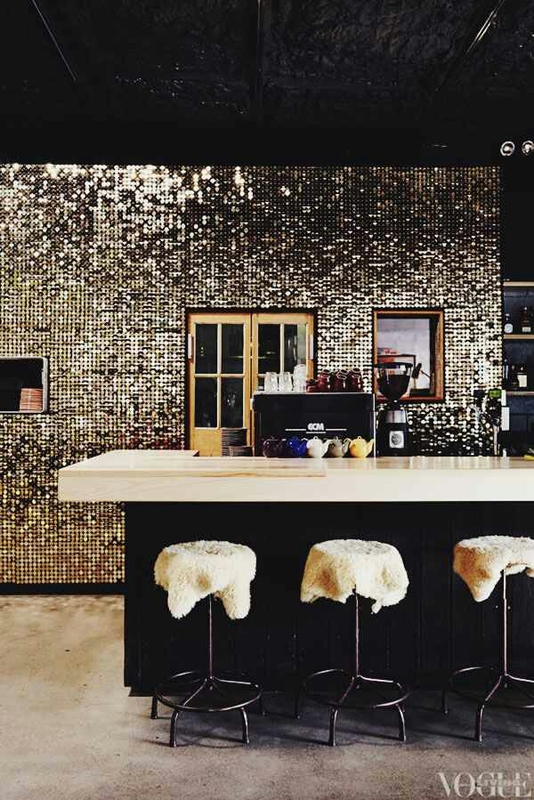 What appears to be sheepskin rugs thrown over stools is a great way to hide worn out leather but really the focal point is this sequin wall. How glam is this? This is GORGEOUS! Sequins and fur <3. Girl forget the chairs…I’m all about the wall.